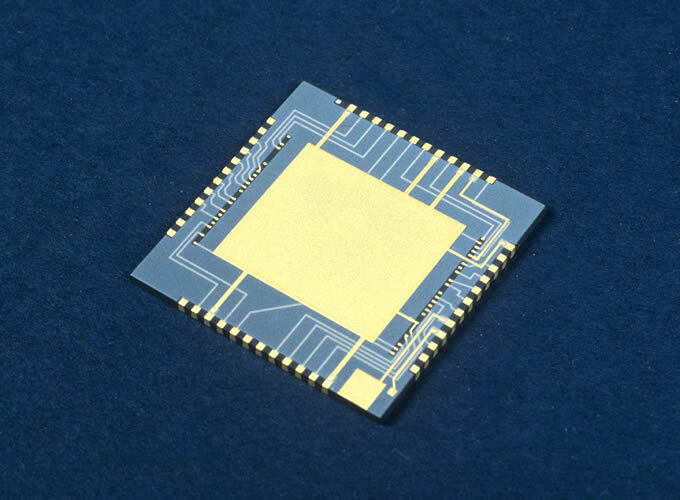 LEW Techniques’ dedicated thick film manufacturing capability offers a fast build-to-print service for metallised circuits on various materials. From double-sided circuits with fine lines, metallised vias and complex substrate profiles, to simple two or three-print-sided monitor blocks (with electrically connected wrap over edges as required), our manufacturing know-how and dedicated in-house facilities provide customers with a comprehensive and versatile service for demanding applications. 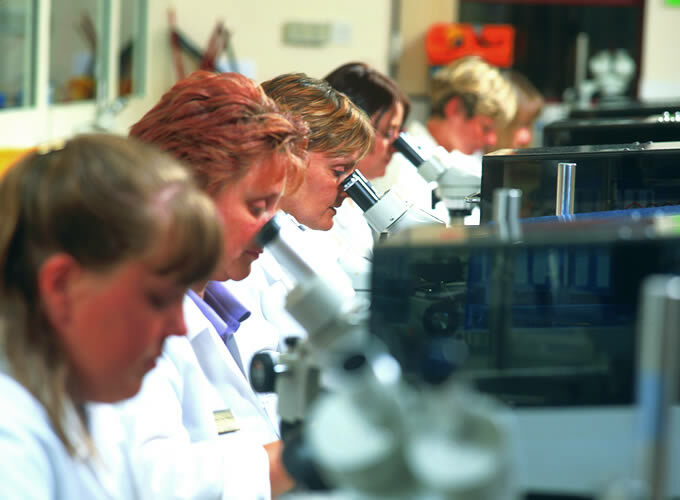 Our production facilities enable us to produce just a few sample parts or production runs of many thousands of parts. The standard process for generating circuits with thick film metallisations is to screen print metal and dielectric inks using high quality metal mesh screens or stencils. 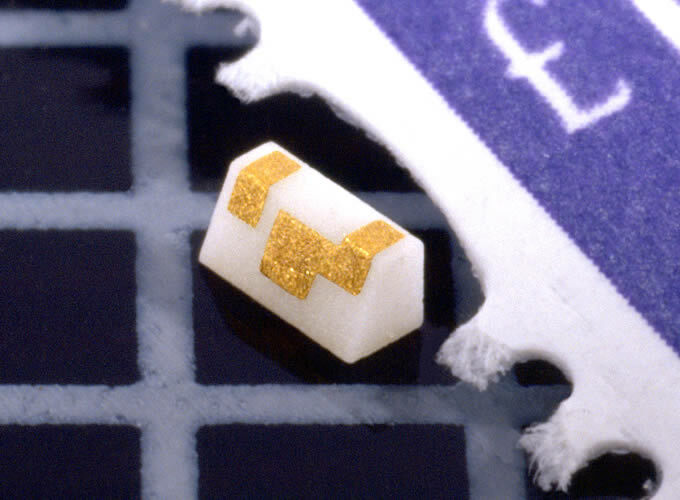 The required circuit is directly printed onto the ceramic substrate. The printed ink is then fired in air at >800°C to fix the metal/dielectric to the ceramic. Typical fired film thickness is 6-12μm. This is the standard method providing the highest flexibility and the lowest cost. 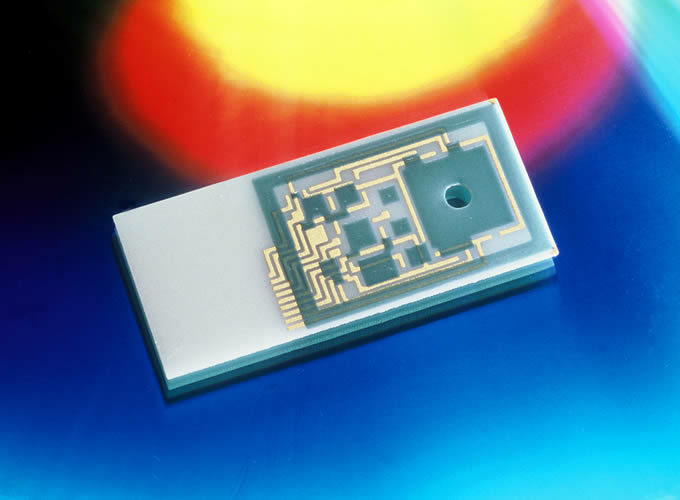 For applications requiring very fine line patterns some metallisations can alternatively be resolved after printing and firing using photolithography. This process can generate thin tracks and gaps with sharp corners. It is also possible to combine both screen printing and photo-imaging methods where appropriate. Typical High spec. Typical High spec. Multilayer circuits can be realized using dielectrics as insulating layers. 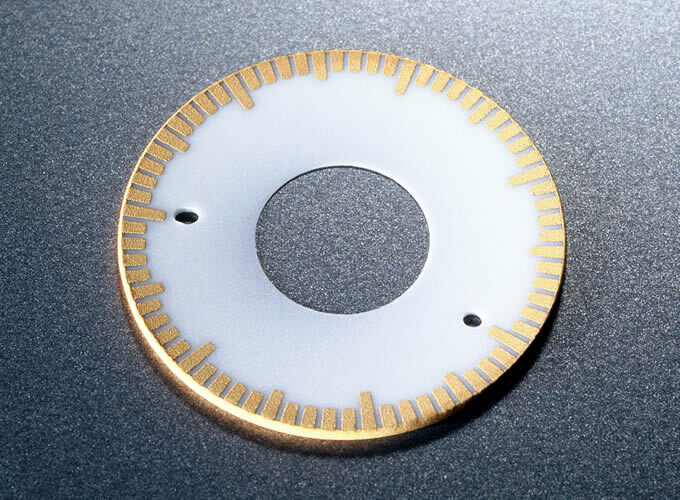 Printed thru holes can be incorporated to provide localized grounding or front-to-backside connections. Circuitry can be printed onto the edges of the substrate to form bond pads or top to bottom circuit connections. For some applications it is possible to selectively pre-print or deposit AuSn solder onto the conductors. This removes the need to use a solder preform. Various sizes of cut solder preforms can also be applied or reflowed in chip attach areas, for example. Click here to download a copy of our thick film microcircuits design guidelines.